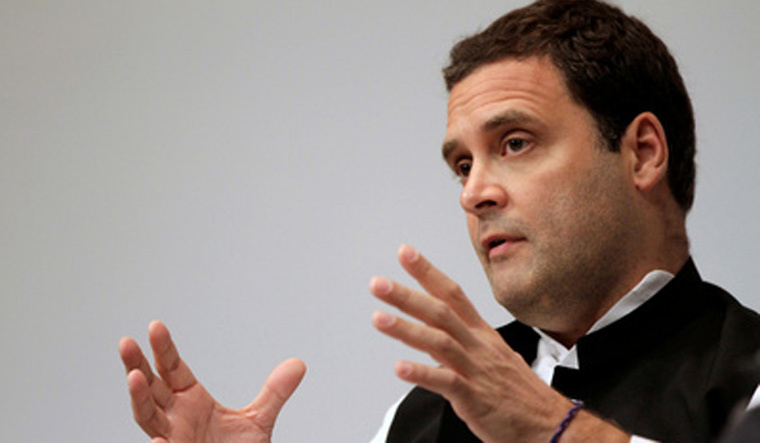 Congress chief Rahul Gandhi on Thursday launched a scathing attack on Prime Minister Narendra Modi on the issue of demonetisation, saying he owed the people an answer on why he inflicted such a deep wound when pressing problems like unemployment remained. Addressing a press conference, Rahul Gandhi termed demonetisation the country's "biggest scam" and alleged that money was taken from common people and given to "crony capitalists". "Prime Minister Modi should answer why he inflicted a deep wound like demonetisation when issues like unemployment and low GDP rate remained," the Congress chief said while referring to the RBI's report on the outcome of the demonetisation exercise. According to the report, over 99 per cent of the banned currency is back in banks. In a stinging attack, Rahul Gandhi also alleged that demonetisation was not a mistake and was done deliberately to attack the people. "Demonetisation was not a mistake but attack on you (the people of India). The intention was to help his 15-20 crony capitalist friends by taking money from the common man and filling their pockets," Rahul Gandhi said. Taking a swipe at Modi, the Congress leader said he rightly claims that what he achieved was not done in 70 years. Demonetisation is proof of that as it was aimed at helping only the rich, he added. Demonetisation destroyed the economy and led to unemployment, the Rahul Gandhi said, adding that he should provide youngsters in the country with some answers. He also asserted that he is not afraid of defamation suits filed against him.